AIIMS shall be conducted at various centers across the country on 25th & 26th May, 2019. Candidates must be at least 17 years old on 31st  December 2019 in order to be eligible for the exam. Those who have passed their 12th standard under the 10+2 scheme or a corresponding exam with PCB (Physics, Chemistry and Biology) with at least 60% marks from a reputed and recognized board or institution stand eligible for the exam. SC/ST candidates with 50% in aggregate in English, Chemistry, Physics and Biology are eligible to take the exam. Those appearing in 12th are also eligible to take the exam. Overseas Citizens of India (OCI) who are registered under Section 7a of Citizenship Act 1955 are also eligible to take the AIIMS entrance. The requirements for such candidates shall be the same as Indian nationals. They shall be required to submit a proof of Registration as OCI under Section 7a of Citizenship Act 1955 in order to be eligible for the exam. In case of AIIMS New Delhi, the foreign students elected by the Government of India must have a minimum of 50% marks in aggregate in Intermediate Science or a corresponding exam in order to gain admission to the M.B.B.S course. Such applicants are not required to look at the entrance exam. 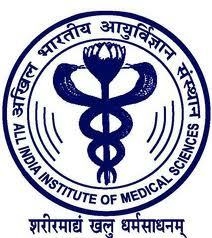 Aspirants should visit the official website of AIIMS and follow the online application link. Fill in the required credentials in AIIMS online form. Students should then upload their photograph and signature meeting the requirements. The fee is to be paid through SBI Bank challan. Once the application form is submitted students must keep a copy of the printout with them for future reference. For SC/ST candidates the fee is Rs. 1200/- . The counseling date of All India Institute of Medical Sciences (AIIMS) MBBS Entrance Exam 2018 has been declared. Those candidates called for the Counselling need to report in person at the venue site at the allocated time along with all the documents/certificates in original. Candidates need to be present in person and no request for authorized representative on behalf of the candidate will be entertained. Moreover, if the candidates fail to attend the counseling in person, he/she will be marked absent and his/her candidature will stand cancelled. Note: 3% OPH reservation as per the rules will be provided in each institute. Below is the updated counselling process which will be adopted by the 7 AIIMS Institutes. Next, the reserved quota candidates (UR, SC, ST and OBC) will be counseled to fill up the seat assign for them in their respective categories. During this process, if any candidate belonging to  UR, SC, ST or OBC, who have taken admission under open competition opts for other institute of his/her choice under eligible reservation, then the seat vacated by the candidate in open (UR) competition shall be filled with the candidate from same reservation category only and in order of merit. While each correct answer fetches a score of +1, wrong answers will be given a score of -1/3. Students should avoid making wild guesses since wrong answers fetch negative marks. Candidates are advised to be careful while marking their answers. More than one answer to a question shall be treated as incorrect and hence will be given a negative score of -1/3. Questions with no response won’t be given any credit. There is no doubt that if there is a medical college which has been reputed for being of the best; it has to be AIIMS. The entrance is tough to crack and therefore, a flawless pattern of study is a must. AIIMS coaching by AskIITians is one of the best ways in gaining weightage over other students and showing excellent result in the entrance. It is true that AIIMS entrance exam coaching is the foundation to building strong subject knowledge. In a few years we have been tagged as the best AIIMS exam coaching institute. Why should you choose us over any other coaching platform? This is a question that we would like to answer effortlessly as results speak and efforts get less. We have toppers every year and the number of students clearing the entrance has been on the rise since the inception. It is your call to either be the best or just dream of it.